Home › Einfühlung › 3 Empathy Books: Meet the Author Book Signing: Short of breath? Empathy is oxygen for the soul! Get expanded empathy. lawyers, customer service representatives, friends, and neighbors, needed a philosopher or psychologist to tell them what empathy is; however, clarification of the distinction is provided. Dynamic psychotherapy and psychoanalysis can accomplish things that no other methods can achieve in transforming human suffering into possibility. When all the philosophical arguments are complete, when all the transference and countertransference is analyzed, when all the phenomenological methods are reduced, when all the neuropeptides are metabolized, when all the hermeneutic circles are spun out, in empathy, one is quite simply in the presence of another human being. and Husserl. A rumor of empathy is engaged in vicarious feeling, receptivity, empathic understanding, empathic interpretation, and empathic intersubjectivity. A rumor of empathy becomes a scandal of empathy in Lipps’ projections and Strachey’s mistranslations. Empathy is reconstructed in Hume’s many meanings of “sympathy”; in Kant on “the communicability of feelings” and “enlarged thinking” of the other; in Freud’s introspection and free association; in Scheler’s “vicarious experience” and perception of The Other; in Stein’s sensual empathy; and in Husserl’s late writing on empathic windows of consciousness accessing other persons as Husserl’s empathy moves from the periphery to the foundation of community. How “empathy” emerged from sympathy, fellow feeling, vicarious feeling, aesthetics, and story telling is discussed through the lens of methods of inquiry including phenomenology, hermeneutics, psychoanalysis, and linguistic philosophy. This work applies the basic distinctions of human existence from Heidegger’s Being and Time such as understanding, interpretation, speech, and affectivity (Befindlichkeit), to generate an account of empathy as an interpretive (hermeneutic) circle that applies to psychotherapy, education, aesthetics, and diverse forms of human relatedness. This provides a breakthrough account of empathy that organizes the conflicting data and positions in the field into a unified, coherent, and powerful approach to empathy that makes a profound difference in being empathically in the presence of other human beings without anything else added. 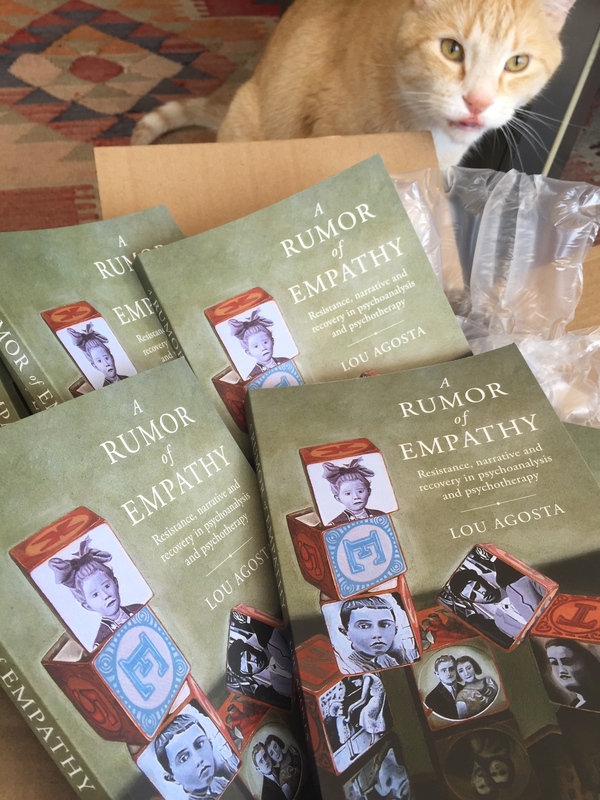 For further details on Dr Agosta’s practice in empathy therapy, consulting, and education see www.LouAgosta.com If you want to get some empathy, get in touch with Lou!